Now, the word “democracy” often refers to a presidency or a republic. To avoid any misunderstanding or fear, democracy is further clarified to specifically mean “a democracy with the monarch as the head of state”; that is, a constitutional monarchy. In reality, the word “democracy” is often mistakenly used and abused. Many states that call themselves “democracies” take pride in allowing their citizens to vote for their own representatives in parliament every four year or so. (Here I won’t refer to the presidential system.) Before citizens go cast their votes, all kinds of means are used during the election campaigns-lies, vote-buying, disinformation, etc. in various degrees. When the whole electoral process is over, the right to government is jealously guarded by politicians and representatives, and citizens are swept aside to play the role of having no role. In some countries, the freedom of expression is only nominally upheld. Here I am not referring to dictatorships in the guise of democracies such as Singapore and Malaysia, but full-fledged democracies like England whose mass media systems are dominated by vested interests and the pursuit of profit. As such, their citizens have limited access to vital information (e.g., many important issues are not freely discussed, and hence are unknown), and therefore they may interpret the world according to the dictates of the ruling interests-e.g., capitalism, consumerism, neoliberalism, imperialism, etc. People everywhere are increasingly finding this version of democracy revolting. No doubt, this is not the kind of democracy that Thais should aim for; it is not good enough for us. Let us retrace the democracy that emerged in Siam in the wake of the 24 June 1932 Revolution. Within three days a constitution was drafted. It stated that power belongs to the people; that is, the equality of everyone is guaranteed by the law. No one has special privileges. The monarch is simply the head of state, an equal among equals. If the reactionaries did not successfully obstruct Pridi Banomyong’s economic plan, Thais might even have the opportunity to enjoy greater economic equality. Equality here does not mean the absence of differences. But it means that everyone has equal rights and dignity and that everyone is counted equally. We must also admit that although the People’s Party was the main engine driving the 1932 Revolution, its members were mostly highly educated individuals and government officials. They weren’t “ordinary” individuals so to speak. One of the main objectives of Pridi Banomyong, the brain of the People’s Party, was thus to enhance the accessibility of “ordinary” people to education. This was included in the six proposals of the First Declaration. With education Pridi hoped that “ordinary” people would be able to meaningfully participate in Siamese democracy, thereby making democracy in Siam meaningful. The establishment of the University of Morals and Political Science in 1934 was an important step in this direction. The idea was to awaken the people to the responsibilities of good citizens, to cultivate the moral courage of the people using the dhamma as an important guidance. It can be said that this university was too successful in its democratic intention. Reactionary forces in the country subsequently got rid of the university’s rector, and the military dictatorship ultimately castrated the university’s name: it became known simply as the University of Morals ( Thammasat University). We must be clear about the first fifteen years of democracy in Siam. The military leaders of the People’s Party simply wanted to get rid of absolute monarchy, so that they could be the new masters of the country; that is, replacing absolutism with a military dictatorship. At the time, dictatorship was the preferred form of government-witness Germany, Italy, and Japan. Also, we must not forget that absolute monarchy in Siam since the Fifth Reign emulated absolutism in Europe. There was a power struggle in the People’s Party between the military and the civilian wings. 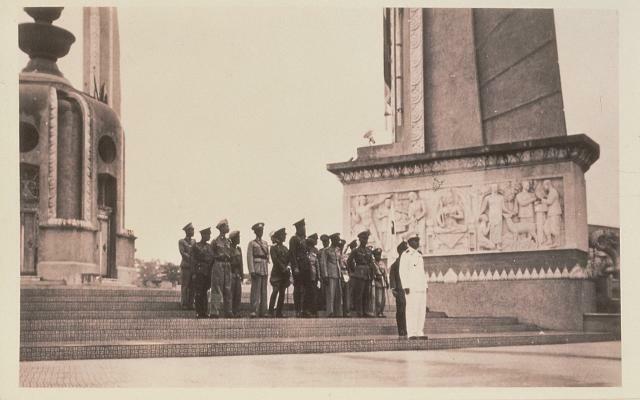 Had the civilian wing gained the upper-hand, Siam might have had a more meaningful democracy according to the objectives of the First Declaration. Deep down, the military leaders of the People’s Party did not want a constitutional monarchy-unless they were kings themselves. At the same time, the royalists in Siam wanted to preserve the monarchy or the inviolability of the monarch (symbolically at least) at all costs. The royalists were at the nadir of their power, however. This was an unprecedented situation in Siam. Nevertheless, they managed to make the constitution of 27 June 1932 a temporary one; the permanent constitution was promulgated on 10 December of the same year. The royalists made it appear as if it was the king himself who graciously granted the permanent constitution-with minimal contributions from the People’s Party. Although the permanent constitution was eventually abolished, and Siam has had many more subsequently, the 10 th of December is still considered as the Constitution Day. In other words, the emergence of democracy in Siam is given a conservative or even a reactionary twist to be compatible with the ideological triad of Country, Religion, and Monarchy. Pridi Banomyong did his utmost to preserve and protect the dignity of the monarchy under the constitution. He wanted to make the monarchy compatible with the changing times. However, he used militant words against the royalists and the monarchy in the First Declaration. And his economic plan aimed at making everyone unacceptably equal in the eyes of the reactionary forces. The royalists thus saw him as a persona non grata. Pridi paid a heavy price for his conviction. In a smear campaign, he was linked to the mysterious death of King Rama VIII. Several innocent individuals were also killed as a result of the campaign through legal and extra-legal measures. This is an important example of eradicating democratic substance from Thai society. It happened alongside the manufacturing of the monarch’s divinity and supernatural-ness-which is not Buddhist. This move however seemed to mesh well with the morally half-baked nature of the military dictatorship, which served American imperialism, international capitalism, consumerism, etc. As someone who brought democracy to Siam, Pridi knew better than others that: 1) as the highest law of the country, the constitution must be enforced by the dhamma, not by armed violence (might is not right); 2) moral courage must be cultivated in the citizens so they would devote themselves to the wellbeing of the country and of humanity; and 3) a meaningful democracy in Siam must be rooted in Buddhism-it need not blindly follow western paradigms. This does not mean that Buddhist principles are superior to those of other religions or faiths. But it proposes that the sangha itself is a viable model of democracy in terms of the cultivation of equality, fraternity, and liberty from greed, hatred, and delusion. When Pridi was Regent to King Rama VIII, he invited Bhikkhu Buddhadasa to engage in a Buddhist conversation with him at his Ta Chang residence. The conversation was held over five consecutive days, approximately three hours each day. With the Buddhadasa’s guidance, Pridi wanted to establish a dhammic socialism that was emancipatory and relevant to Siamese society at the time. 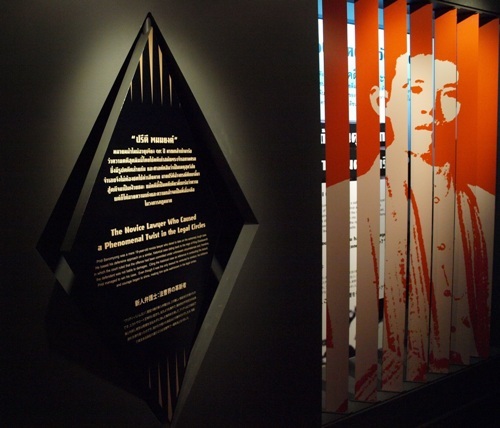 Pridi wanted to pave the way for Siamese citizens toward a meaningful democracy. Numerous factors obstructed his dream such as the military dictatorship and World War Two. To preserve the promise of democracy Pridi established the Seri Thai Movement with his fellow citizens in Siam as well as overseas. The movement enabled the kingdom to preserve its sovereignty and national integrity in the wake of the war. Pridi supported national liberation movements in the region. The League of Southeast Asian Nations was established to foster democracy or democratic socialism as well as to counterbalance American and Soviet imperialism in the region. The regional grouping also hoped to improve its members’ bargaining power vis-?-vis the emerging states of India and China. In sum, democracy in Siam by the end of the first fifteen-year cycle pointed toward the greater decentralization of power. The three southernmost provinces had a fair degree of autonomy especially in terms of language and religion. They co-existed in Siam with equality. To a large extent, the northeastern provinces were also able to maintain their distinct characteristics, politically, culturally, and economically. They were not deemed inferior to the central provinces. Pridi’s dream disintegrated six decades ago. Though we had overthrown a series of dictators (e.g., 14 October 1973, May 1992, and 19 September 2006), meaningful democracy is still not in sight. In each of these events, we merely changed the head of the political elites. Deep down the ruling elites are still fond of top-down structures, fixed hierarchical relations, and special privileges (on this latter point, perhaps even more so than during absolute monarchy). How then can meaningful democracy erupt in Thai society? There’s no accountability and transparency. The right to open criticism is limited. Some things are still deemed divine or mystical, hence beyond reproach. I will not offer any view on the recent coup d’etat. I will not criticize those who are in power now and will not discuss about the government of the present prime minister and his ?parliament’. I think many individuals in power now are good. At least, they have good intentions and want to make changes to benefit the people as a whole. Of course, some have vested interests in various degrees. But in terms of the system, it is impossible for those in power to reach out to or understand the people. As long as the fixed hierarchical structures are still in place, the people will not be able to raise their heads, will not be counted equally as those above them. It is also difficult to find any ?ordinary’ folk at the center of power. How then can the new elites in power understand about meaningful democracy? At best, the new elites will merely (and inappropriately) copy the democratic paradigms available in western textbooks and adapt them to Thai society. How many among the new power elites actually understand about constitutional monarchy? Some of them even suggested that democracy is incompatible with Thai culture. On this last point, my views are different. I affirm that the democratic spirit is vibrant among Thai citizens. At least this democratic spirit is stronger than in many neighboring countries. In the past, the jataka (“Birth Stories”) collected and edited by Buddhist monks invariably challenged or confronted the illegitimate power of the ruling class. In the present, we can see this spirit in the Assembly of the Poor and similar organizations scattered throughout the kingdom. The democratic conscience of the middle class has also been awakened. We can see it in the conservationist movement in Kanchanaburi province, in the Bo Nok and Baan Krut communities of Udonthani province, in Songkhla, in Chiangmai, etc. The ruling elites are impervious to the potentialities of these movements. Through collaboration the middle and lower classes have narrowed the gap between them. The democratic spirit can also be found within the business community, although it is nor as widespread. On the whole, the bureaucracy and education institutions are still weak on democracy. And so are the sangha and the monks. But there are some individuals within these sites that are democratic in spirit. They are aware of the ills of capitalism, consumerism, neoliberalism, and so on. They see no future in a monarchy walled off from the citizens. Thus they offer us a glimmer of hope-though they have yet to attain a critical mass. Despite the (numerous) deficiencies of the core leaders of the PAD the movement’s positive elements may be employed to serve the people. We may begin to learn from local communities more than simply attempting to educate them. We will be learning from one another in this respect. We may begin to re-valorize aspects of the de-valorized local knowledge systems, which in fact contain many democratic elements that are distinct from western democratic models. These are knowledge systems that valorize nonviolence, morality, self-sufficiency, humility, simplicity, and generosity-typical of rural Thai communities. They are not perfect, but provide vital resources for democracy in Siam. If we know how to adapt morality and generosity to contemporary society, we will be able to transform religion into an important political resource. Thammasat University attempted to do this in its early years. We may use generosity as a vehicle for some form of welfarism. And morality will be a wheel propelling us toward peace and justice. The sangha has long served as a model of democracy. But the class system and fixed hierarchies have ground down equality, fraternity, and liberty (from greed, hatred, and delusion) in society. An important element that is missing in Thai society is mental training. Without mental training we have no hope for moral training (fostering normality at the individual and collective levels, for each and all) and for the attainment of wisdom. We’ll be trapped in violent structures and mindless violence, for instance. It is heartening to see a growing interest in mental training in various circles in society-the Vong Lor (Wheel) and the Jit Wiwat (Mental Transformation) groups in Bangkok, the Kwan Muang group in Chiangrai, etc. We must also not forget the Spirit in Education Movement and the Sekiyadhamma network. If they are on the right track (practicing mindfulness not to isolate the self from society but to be socially engaged as well) they will be able to foster inner peace, minimize self-attachment, and expand their circles of virtuous companions to create equality and liberty in society. We should train ourselves to be humble (in both form and content), to reduce greed, hatred, and delusion. Although we may not be able to fully eradicate them all, at least we should be mindful of our feelings, conducts, and words so as to benefit the majority of the people. We should be mindful in the face of different opinions. We should be willing to ask forgiveness for the negative consequences of our conducts. We should be forgiving too. To forgive means to have no fear. We always fear the enemy. But Buddhism teaches that the enemy is really within-emanating from our greed, hatred, and delusion, from self-attachment. Moreover, the ten virtues for the king as well as the four virtues wheeling one to prosperity are not simply there for lip service-but for serious practice. We don’t have to throw away all western textbooks dealing with democracy. I’d like to suggest some books to read. The first is Mindful Politics: A Buddhist Guide to Making the World a Better Place. From a Muslim’s perspective, a good book is Ghaffar Khan: Nonviolent Badshely of the Paktuns by Rajmohan Gandhi. Don’t forget the works by Eqbal Ahmad (especially Islam and Politics) and by Noam Chomsky. Of course I need to mention the volume edited by Pracha Hutanuwatr and Ramu Manivannan entitled The Asian Future. These books are useful for making sense of world affairs. But we must find the time to breathe properly and mindfully. As mentioned earlier, this is also a crucial step toward the prospering of democracy in Siam. We must understand that our society has no future if it is still dominated by fixed hierarchies, violent structures, half-truths, moral cowardice, global capitalism with the American empire at the center, and so on. If we still don’t clearly understand the issues raised in Point 1, we must seek further knowledge about them and disseminate this knowledge as widely as possible. We can in part rely on the mainstream mass media, mainstream education institutions, politico-economic elites who have some understanding of the Right View, and so on. Those of us in the NGO sector who want to strengthen democracy in the country must properly train ourselves and others in our circles to understand the importance of equality, fraternity, and liberty from greed, hatred, and delusion. There must be transparency, accountability, and responsibility at every level of our work. If we train ourselves to achieve inner peace, we can thereby legitimately demand that other organizations or institutions (public and private, local and international) do so too. We must recognize our strengths and weaknesses. Are we too elitist? Too bourgeois? Do we know anything about the poor or the lower class? Are we ?fake’ Thais? Do we recognize the mistake(s) of nationalism? To what extent do we honestly respect other cultures and religions? Are we willing and ready to devote ourselves to benefit the majority of the people, gradually reducing our self-attachment? Urban residents should travel to the rural areas to learn from the local villagers and to confront various forms of suffering there. We may begin to realize that our luxurious and comfortable way of life may be the cause of numerous sufferings or social injustice. We should not simply blame TNCs and our ruling elites. Learning from the poor will enable us to understand the villagers’ wisdom, to understand the substance of democracy rooted in Buddhist, Muslim, and minority cultures. We can adapt values from these cultures and use them in our lives to transcend mainstream culture, which moves in the direction of capitalism and consumerism.